Hello everyone and welcome to my review of the Great Hall! Before we begin I want to thank LEGO for providing these sets for our reviews, and please note that the opinions in this review are of course my own. Now then the Great Hall, a set that was revealed many months ago and has been eagerly awaited. How does this set stack up tot he hype? Let's find out. 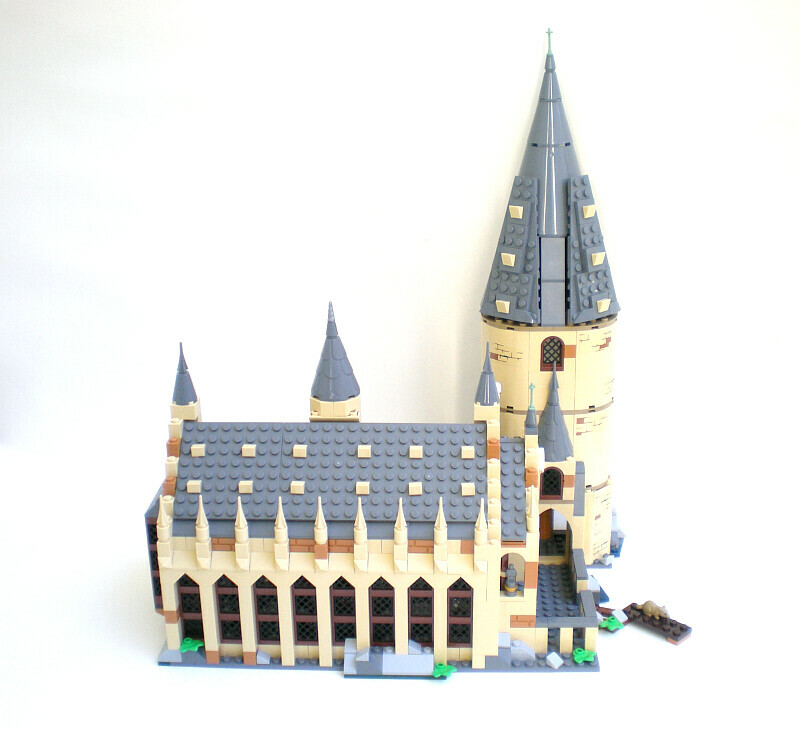 First, I tried looking up some older harry Potter sets and the one instance of a Great Hall I found was the one in this Hogwarts set below, so take a look at where we are coming from, and see what an improvement this set brings us. The box, as you would expect from the most expensive set in this wave, is also the largest. I really love the art here, you can see the great hall with the remainder of Hogwarts looming in the background, all set against a very attractive selection of blue. From here we can see that this set holds many details and treasures to be seen. 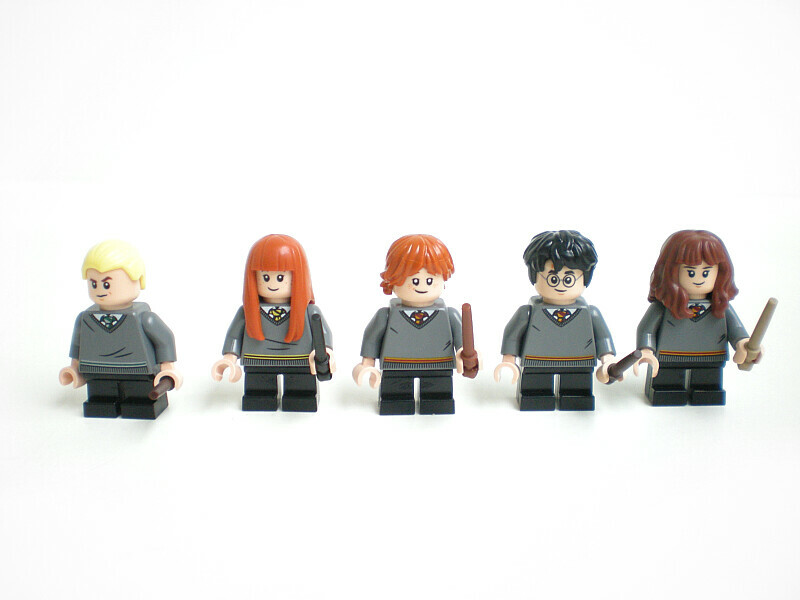 Our first selection of Minifigures is Draco Malfoy, Susan Bones, Ron, Harry, and Hermoine (Who my computer keeps trying to auto-correct to "heroin..."). 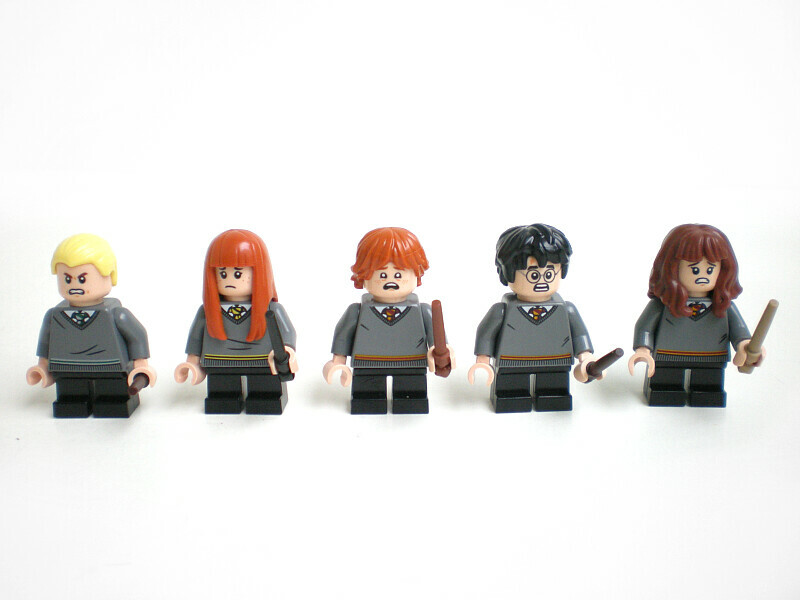 All of these figures look great and are using short legs and each have the new wand mold. We get the "greay sweater" outfit for three of the houses here, Slytherin, Hufflepuff and Griffyndor. What I really like about these torsos is that while you would of course expect the ties underneath to change colors, they even printed different folds in the clothing on them. From the back we can again see some color differences between the different houses, and again different folds in the clothing. Technically, Quirrell's is not an "alternate face" but rather Voldemorts face which really should stay on the back of his head, but for sake of showcasing the figure I've turned it around here. 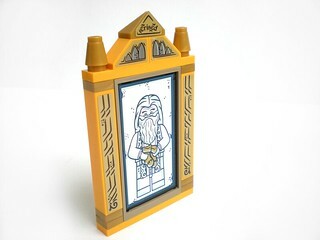 Dumbledore simply loses his glasses, but I appreciate the effort they put in for this little difference. 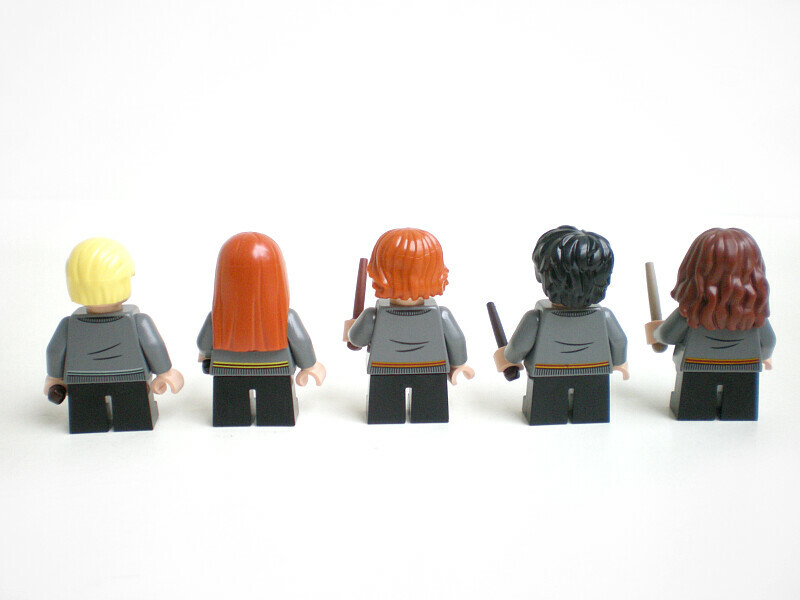 Here we can see the back printing on these characters; I removed Dumbledore's hair so you can see his back, but also so you have an idea of what his full face print looks like. Yeah it's a little on the odd side.. Hagrid has been left out of these as he does not have back printing nor an alternative face. 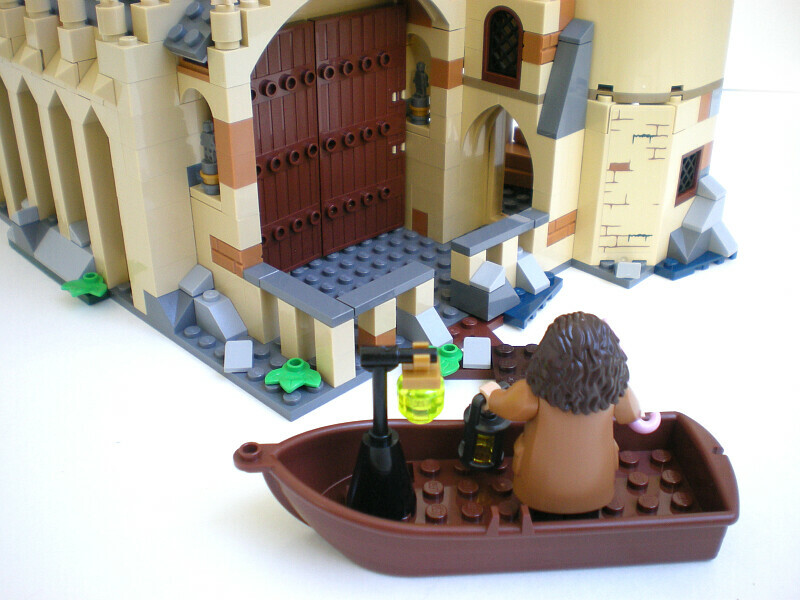 We start this set off with some smaller builds including a little boat as well as the Basilisk. This is definitely one of the weaker builds of the set, in comparison to the builds in Newt's case he just feels really incomplete and like Lego built this with limited parts- I do hope to see a better one of these later on in a Tom Riddle specific set. Here's a quick shot from the build of the Great Hall. With this round of reviews you may have noticed I'm focusing a bit less on the builds here as while they are of course interesting, part of the fun is not knowing how it's build until you have it in hand, and my focus on the review is how fun the set is when it's said and done. 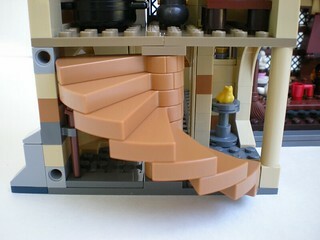 With that said, this set is primarily this one single structure, so how is the build? It's certainly not a Creator Expert modular; the building techniques here are mostly just stacking bricks on top of eachother, the real charm of the build is in the little details that they managed to fit in, such as the small minifigure statues near the front doors. The first impression I had of this build is that it really improves upon it's predecessor we mentioned at the start of this review; the Great Hall is much more detailed, and this time around actually includes the gray roof (the green roof of the older HP sets was due to the lighting in concept art making the roof look green, and as a result Lego designed the sets with green and stuck to it..) We see a bit of this green in the skipoles at the peaks of the towers here. Speaking of the towers, this set has one of the larger towers to it's right, however this tower does not have the three smaller towers coming out of it's left side. 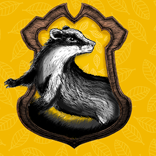 It's a small detail, but one that I think is a signature part of Hogwart's silhouette. 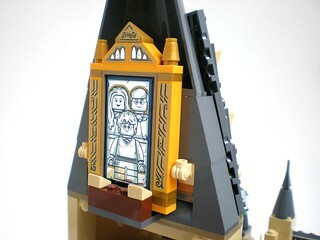 the previous Hogwarts set had this detail, and the upcoming microscale Hogwarts includes this detail as well. From this shot here we start to see where this set divides people; it's an open-backed building, much like a majority of Lego sets. 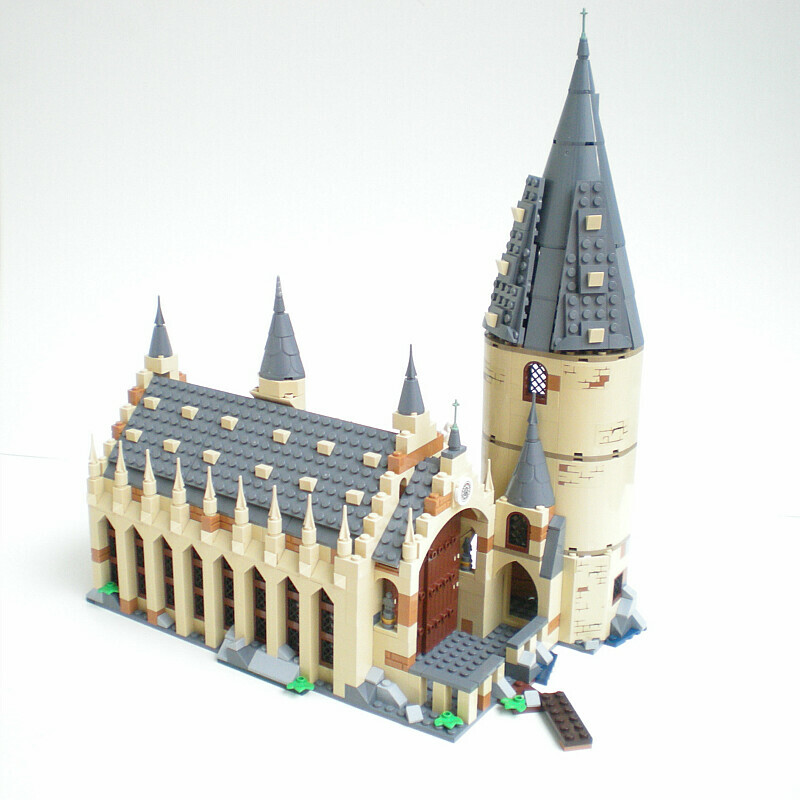 While I think this set has more depth than most sets and more room than the old Hogwarts set, it definitely makes the tower look a bit awkward. From here we can see that many treasures lie within, which we will take a look at shortly. From this side, we can see the front doors and docking area. While not completely accurate, this again is a marked improvement from the original Great Hall. 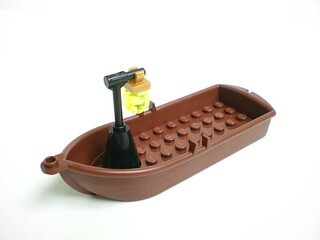 We have a small platform to bring this boat up to. The microscale model pulls this off better as there really should be much more vertical terrain beneath the Hall, but I think this is a reasonable compromise and provides a dynamic the original set did not have,. One complaint I have here is that the doc itself as well as the railings aren't built very strongly, and do have a tendency to fall apart a little too easily for my taste when moving the set around. The interior of the hall is actually quite impressive; we get 4 tables as well as the head table, two broomsticks on the wall to the left, a fireplace, as well as the "floating" candles and two flags which have the remaining two teams on their flipsides. I haven;t watched the Harry Potter films in quite some time so I'm not sure what exactly this represents, is this one of the rotating staircases? That's a rather odd way to portray that if that's the case, but an interesting one nonetheless. With the stairs open we can see a pedestal with a yellow frog (again this doesn't jump out at me as anything memorable, anyone able to advise on what this is? ), and when we close them there is a broomstick against the wall. 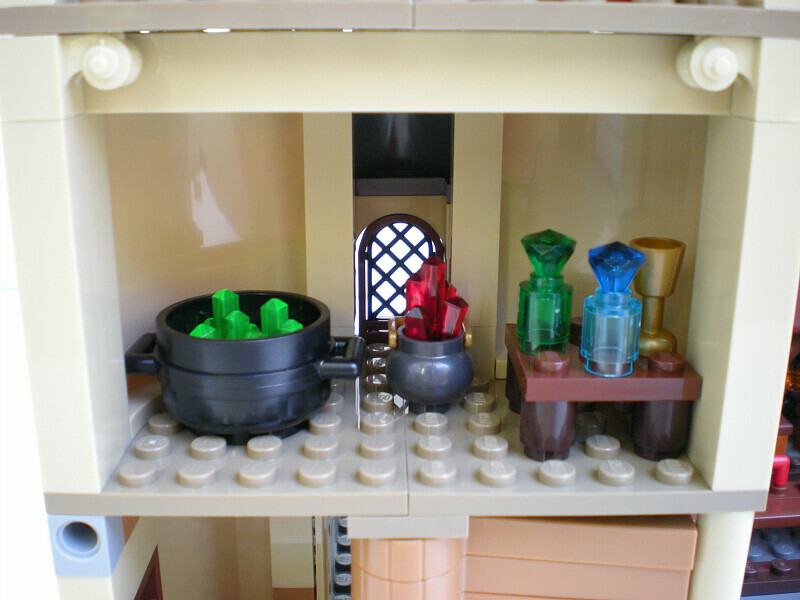 Following the stairs up we find a room with a variety of potions, cauldrons etc. The next level reveals... the Sorting Hat! (technically you can also use this pedestal for Hedwig or the Phoenix.) 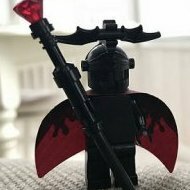 This time around the Sorting hat gets his own mold which can indeed fit on a minifigure as with any Lego headgear, and it looks fantastic. Next up we have the Mirror of Erised. This mirror can be slotted behind the top turret as you saw previously, which is an odd place for it, but it doesn't really fit anywhere else. The mirror is simple enough, using a variety of stickers to add it's decorations around the farme, and includes 4 different stickers (two black panes of glass are used, with one sticker on each side.) I ave the mirror angled in such a way that you do not see any reflections, but do note that these are chrome stickers. The included reflections are Harry and his Parents, Dumbledore, Professor Quirrell, and Ron as a Quidditch Captain. 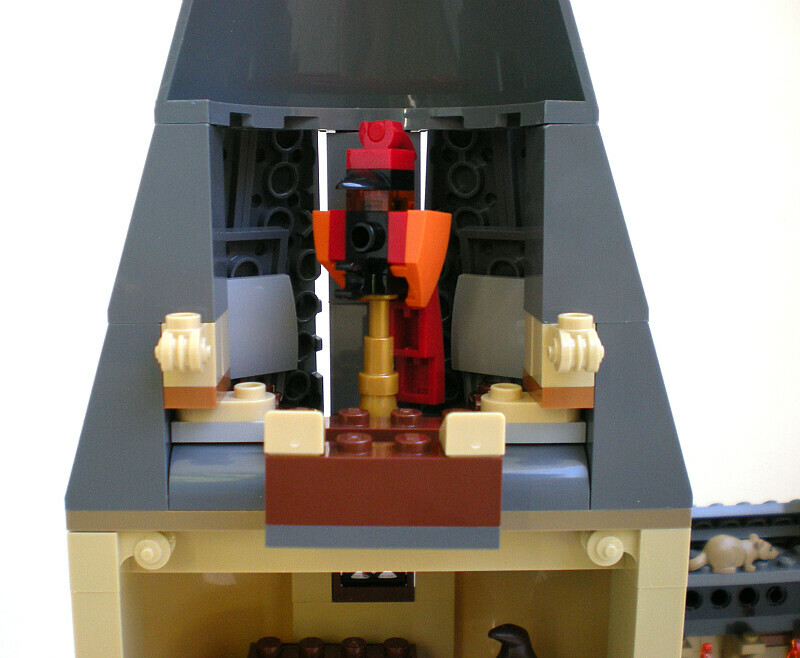 Hidden behind the Mirror is another pedestal, again you can choose what you put up here but the configuration in the instructions is to place Fawkes the Phoenix up here. Fawkes is a simple brick build and looks okay; It's understandable that we did not get a new mold for him, though with the inclusion of the Sorting Hat I wish we had. 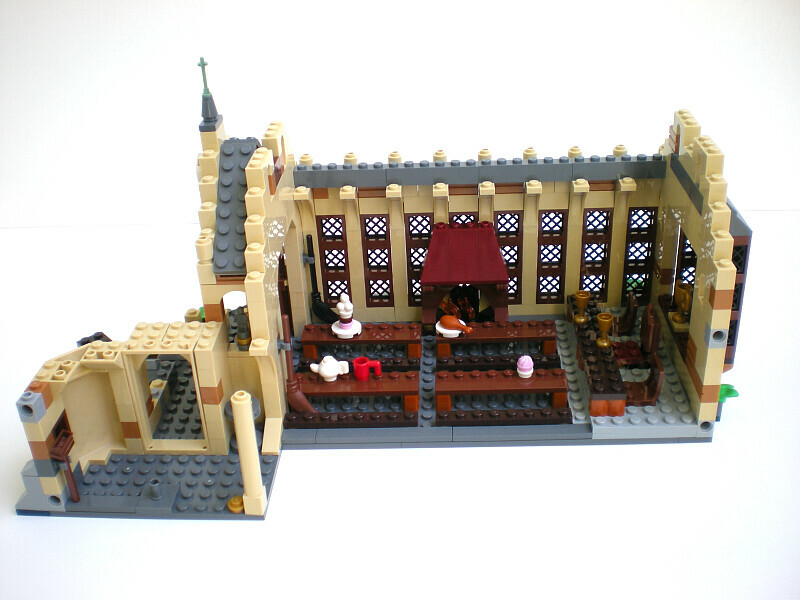 The Great Hall is the largest set in this first Wizarding World series, and you get a good selection of minifigures, many of which are unique to this set. The build, while enjoyable, doesn't really offer anything that interesting. Additionally, the focus of this set is on creating a nice looking Great Hall; there isn't much in the way of gimmicks here, which I am okay with, but I wish some extra effort had been put in to covering the back like the Ghostbuster HQ set for a slight bump in price or at least completing the large tower. And with that said,t he accuracy of this set isn't really that great either; The Hall it self looks okay for the most part, but the tower looks off to me, as does the little dock they attached. There's also a few sections of the set, such as the dock area, which isn't well constructed and can fall apart very easily. 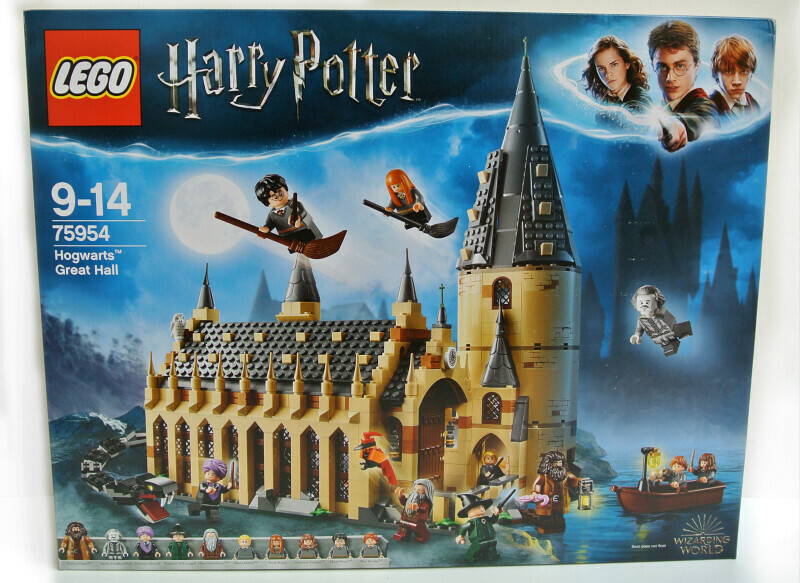 With that said, this set is still a marked improvement over the original Hogwarts components in terms of building techniques and details, and I really hope that LEGO continues to provide more sections of Hogwarts to combine with this and the Whomping Willow to further add some value to this purchase. 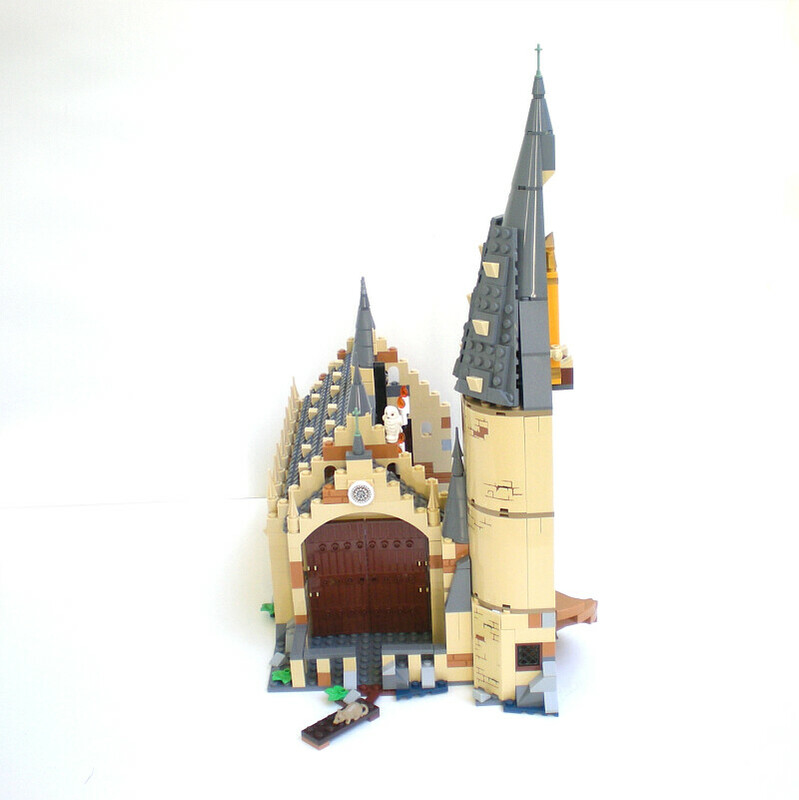 I think this set is a worthy pickup not only to Harry Potter fans, but has the potential to be a really cool building for those more casual fans with some modifications. It's not perfect, and certainly the microscale one looks closer to what this one should, but it's a marked improvement over the original, and at $100 for the largest set it's definitely not that bad of a deal when compared to some other licensed themes. What are your opinions on this set? 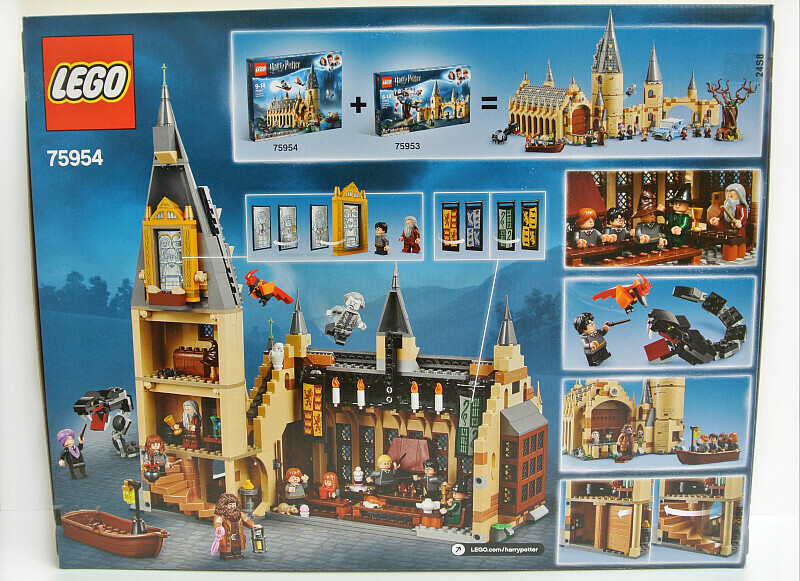 Do you plan to pick this up, or are you more excited for the microscale Hogwarts? Honestly, the popularity of this set confuses me. I love the architecture of Hogwarts in the movies, but this is, in my opinion, one of the ugliest Hogwarts sets Lego have ever made. Now, movie accuracy never seems to have been the top priority in the Harry Potter line, but the basic shape of the 2010 version of the Great Hall looked pretty accurate and I really didn't expect them to make such a step backwards now! All the proportions and angles seem to be wrong. * What's more, the hall is too open in the front so the oversized doors are visible, the Chamber of Reception prominently seen in the first movies wasn't depicted at all so the hall looks more like it did in movies 4-8, the Headmaster's Towers are indeed missing as well, the beautiful tall tower on top of the hall was made short and stubby, all the medium nougat bricks make the building look like a gingerbread house, the interiors are unusually boring, and the basilisk... is a bad joke. Only the minifigure selection is good as always. But all in all I think it's clearly the worst set of this otherwise strong wave, and I rated it "poor". I'm glad the D2C Hogwarts turned out to include a vastly superior Great Hall and Grand Staircase Tower, but that also means I'm probably not going to start collecting the minifigure scale Hogwarts sets. 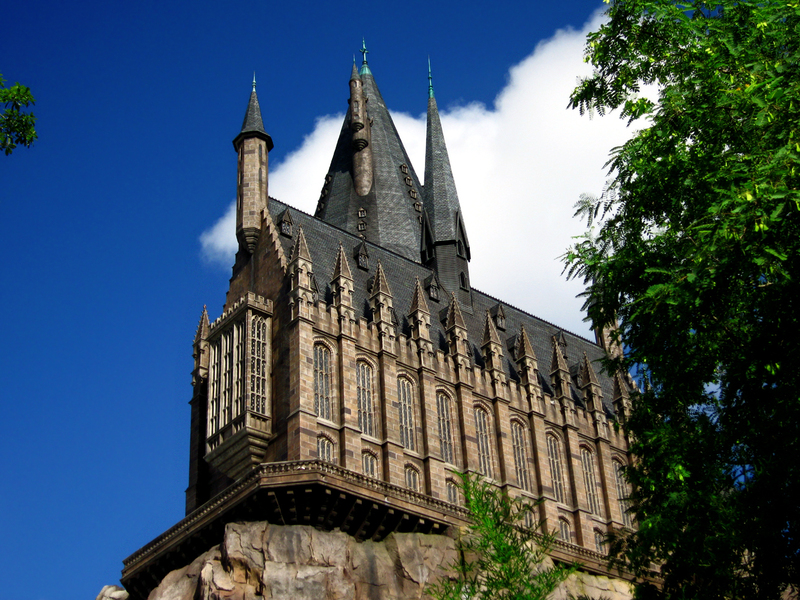 *Edit: I wasn't really able to find a good picture, but the Great Hall is high and narrow and has a steep roof. This model, however, is short and very wide and its roof has a 45-degree angle. That's why it doesn't look like the Great Hall to me, even though some details may be more accurate than before. I think this is an outstanding set, the best set of the wave, and actually pretty good value for money compared to most other licensed sets. Minifigures are great, and 10 figures is more than we usually get in the flagship licensed sets. The great hall looks better than what we got in 4842 (and it should since it is the main focus of the set), and except for the new Hogwarts D2C I think it is the best looking Hogwart's set to date. I am glad the back is not covered since that would just have increased the price (by quite a bit I think), without adding much value. At a higher price point it would probably have been better to put the extra bricks into bigger structures or more detailed interiors. Yeah, the basilisk doesn't really shine I admit. I do understand it's inclusion in terms of more play features for the kids, but for us AFOLs it would have been better to add the three small towers to the main tower or just more interior. 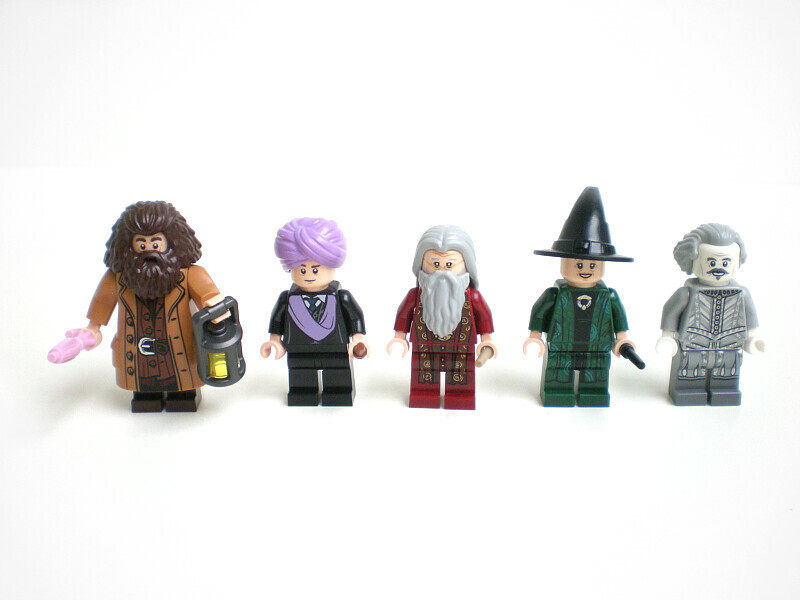 They could’ve even added the troll from the dungeons, and that would’ve made more sense given the inclusion of Quirrell. Nonetheless, thanks for the excellent review VBBN , I like the set and what did surprise me was the size of the interior of the Great Hall, the initial pictures released earlier gave the impression it was somewhat cramped, but these photos show it to be more spacious. I feel like the tower, like @Graupensuppe said, could have benefited from the Headmaster’s Towers, so it would look a little more recognisable. And especially since they're one of the few elements of Hogwarts that remain the same throughout the films. Honestly I think this set is kinda terrible... 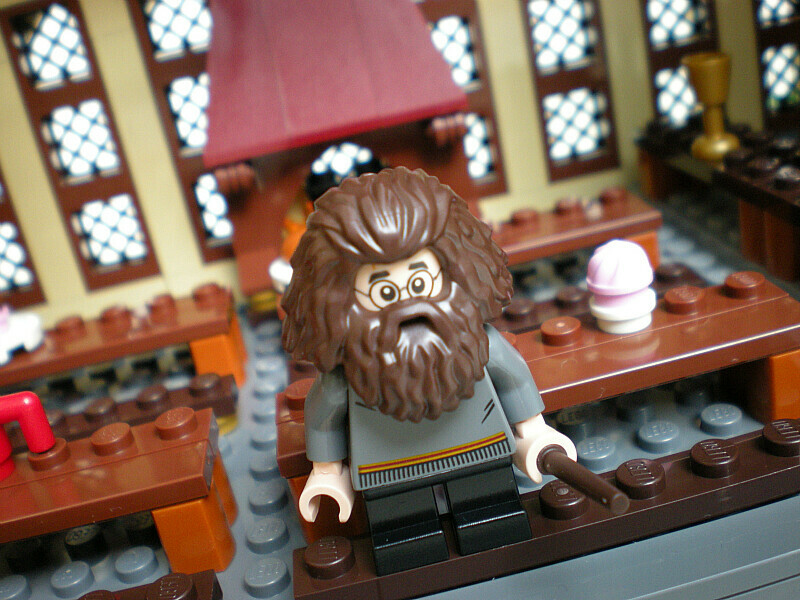 I was incredibly disappointed when it was revealed, especially since I was so excited for the return on Harry Potter in LEGO. I think the building itself is pretty ugly, the 2010 version looked a bit more movie accurate because of the tall and narrow dimensions, and I will stand by sand green roofs for Hogwarts until I die! 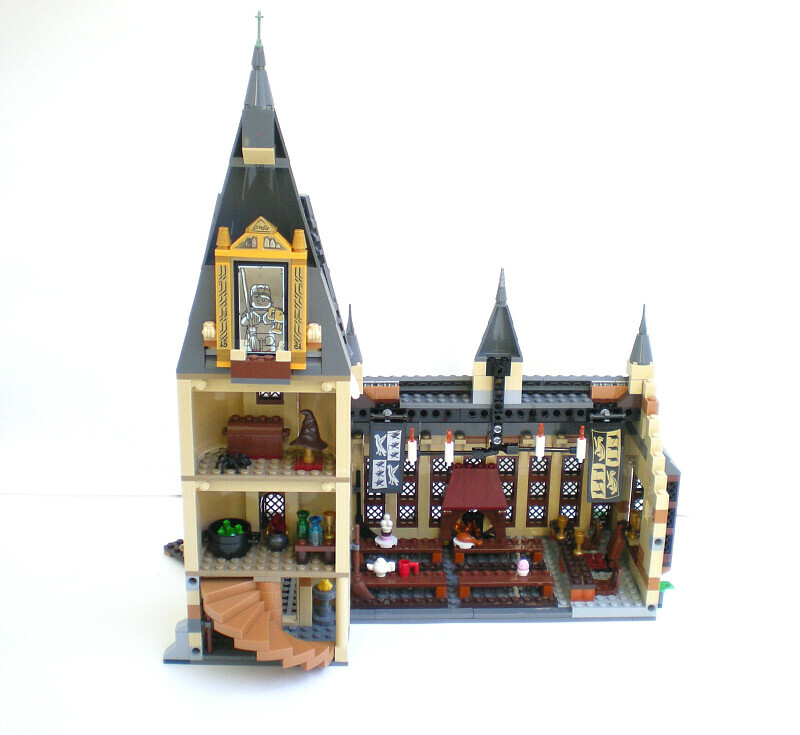 Overall this one looks like it was just kinda slapped together with larger parts and not much exterior detail while the old great hall still sits mostly unchanged in my own personal (mostly moc) version of the castle. I'm also pretty disappointed in the figures. 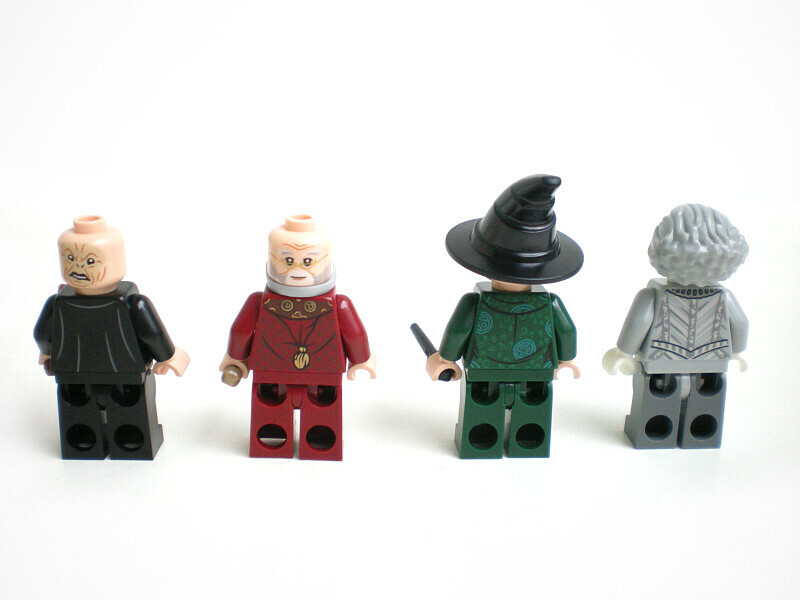 Dumbledore is the star, clearly, and Nearly Headless Nick is pretty good, wish he had come with the ruff piece for his neck since there's really no way to make his head tilt. 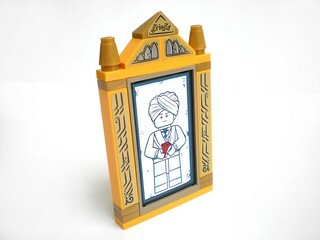 Quirrel is a pretty good figure, the head print looks great, but the choice of piece for the turban is confusing as they have the prince of persia turban piece 4568949 which has the trailing fabric instead of having it printed on his chest. I wouldn't normally complain and would simply switch it out except that it was never released in purple :( McGonagall also feels like a step backwards from the 2010 Hogwarts set. The printing is mostly the same but legs over the new skirt piece make her look much less like she's wearing robes. Plus the black hat, though more movie accurate, doesn't look as nice as the matching emerald green one does. I've still got mixed feelings about Hagrid, I think the old figure had a lot going for it and this one looks a lot goofier, but he is growing on me a bit. None of the interior detailings are that great either, the great hall looks pretty plain, not much food, no prophets or quibblers, not many accessories all together. Fawkes and the the Basilisk are both horrendous, especially compared to their counterparts from the 2002 Chamber of Secrets set. 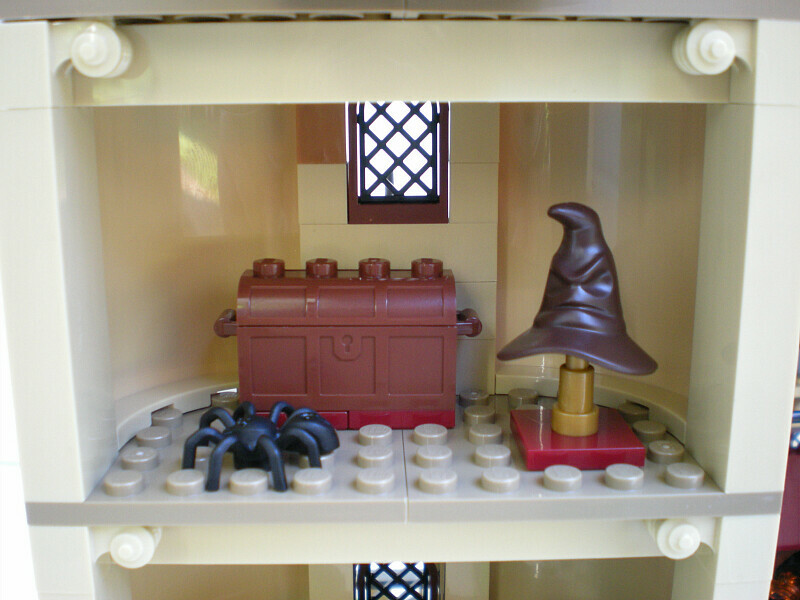 It also means that we probably won't be getting a new chamber of secrets set with a brick built basilisk like the one from the LEGO HP video game which was pretty awesome. Overall I don't really understand why this set has been getting the praise it has been aside from it being one of the first Harry Potter sets in years. I agree with @Graupensuppe on most charges. The finished model doesn't look pleasing nor accurate, the figures are okay overall, and even the play features are few and unimpressive. Overall a poor flagship set for the first wave. This is pretty nice for what it is, in my opinion. Sure, it's not incredibly accurate, but I've never been too fussed about accuracy anyway. There are only two things I have to criticise: the abysmal Basilisk (probably won't even assemble it when I get mine) and the lack of detail in all except the top room of the tower. My plan is to redo the interior of the 'Sorting Hat Room' into a Ravenclaw Common Room that'll go with the Gryffindor Common Room in the Whomping Willow set. Now that we finally have Cho and her generic Ravenclaw torso, my house will rise! I have mixed feelings about Harry, Ron and Hermione having identical torsos, on the one hand it's boring, on the other it would defeat the purpose of a 'school uniform' if they didn't. And I definitely approve of the massability of these new style torsos. The price is a bit high in AUS, so I'll probably wait for a good sale. But it's definitely on my list. Ultimately, most of the complaints I'm hearing (other than about the God-awful Basilisk) are about how accurate it is to the source material. And . . well, here's the thing, everyone. It seems there's something of a misconception going around based on what this set is actually supposed to be. Does that model he's holding look familiar to anyone? It should. This set is not based on the actual Great Hall. 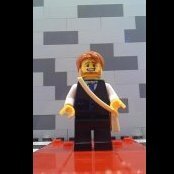 It's a Lego version of the Architect's original, in-universe model. And if you consider that, the only problem is the absence of the three Headmaster towers. And that's pretty easy to fix. So don't criticise little things like proportions. It's all a matte of perspective. I bought this yesterday as it had double points on it but haven't built it yet. I think upon looking at it the basilisk is a big let down and an odd inclusion. Surely this creature would have been better using the original mould from the old Harry Potter sets? And surely its placement would be better in a set that contains Moaning Myrtle's bathroom? I'm a big Potter fan and can't remember the Basilisk ever being present in the main castle let alone the great hall. I love the new Sorting Hat and the Mirror. In my opinion, Nearly Headless Nick is the best figure in the set, such a beautiful and detailed costume! 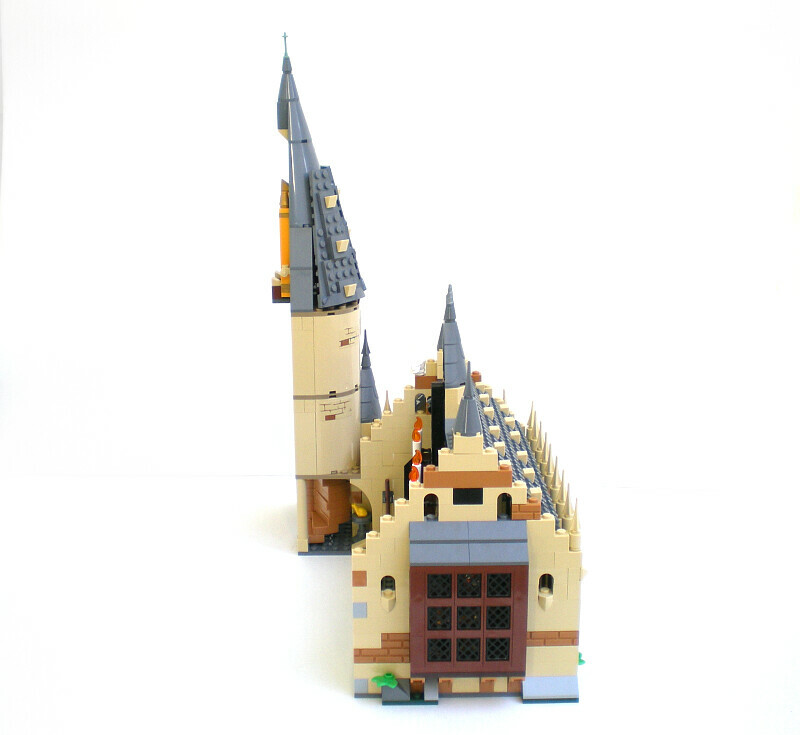 There's something about the Hogwarts castles that makes them hard to reproduce with LEGO. I don't buy sets for the minifigs, but rather for the quality of the build and architecture. Every previous Hogwarts' set has disappointed in that regard, and this one does too, on a much grander scale. Sorry, but this one is not even remotely on my "want" list. I built the set today, and think it's excellent! I enjoyed the build, even though it is pretty straightforward as can be expected from a system set. Figures are great, love the new lantern, the new rectangular lattice windows and the new candles. As mentioned before I also think it is good value for money (which is not a given when it comes to licensed sets). Me and my gf finished the set yesterday. We both enjoyed the build and the result. 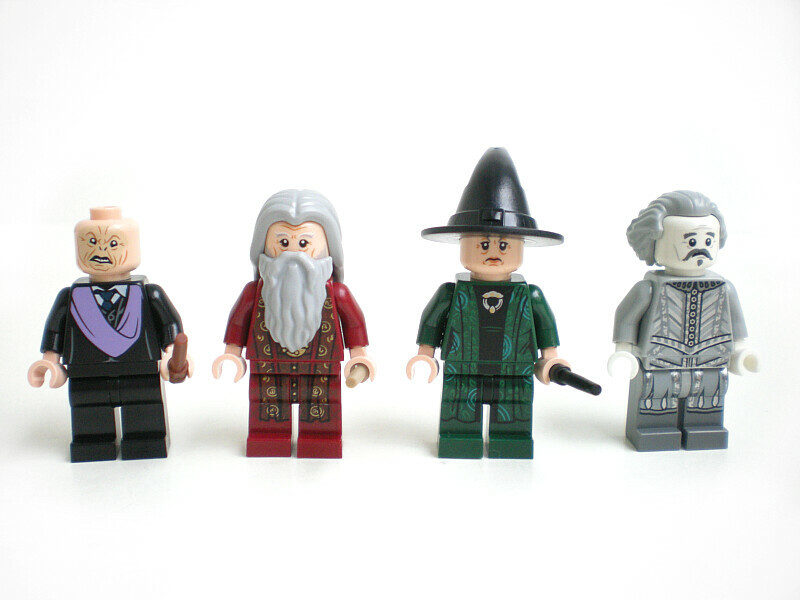 The minifigure selection is great, I especially like Nick and Quirrell. I am thinking about modding the set just a bit, I want to add around 2 bricks of height on the hall, and I'd like to try and make the tower thinner for the largest part, and as wide as it for the top, maybe 2 bricks higher as well. I bought and built the set recently and I'm very on the fence -- there's a lot to love here but I also do agree with nearly every criticism I've read and then some. It's nice to see the Great Hall as a standalone release rather than crammed into a larger castle, especially as it's probably the most distinctive and iconic 'building' of the Hogwarts Castle itself, whereas the other towers are generic to all but the most serious enthusiast. This also allows them to add some considerable more detail - I love the new window detail for sure, as repetitive as it is, and while I'm not completely pleased with the roof design it was still interesting to build, I felt. This was my first experience with these larger baseplates as well, although I'm sure they've existed for some time. 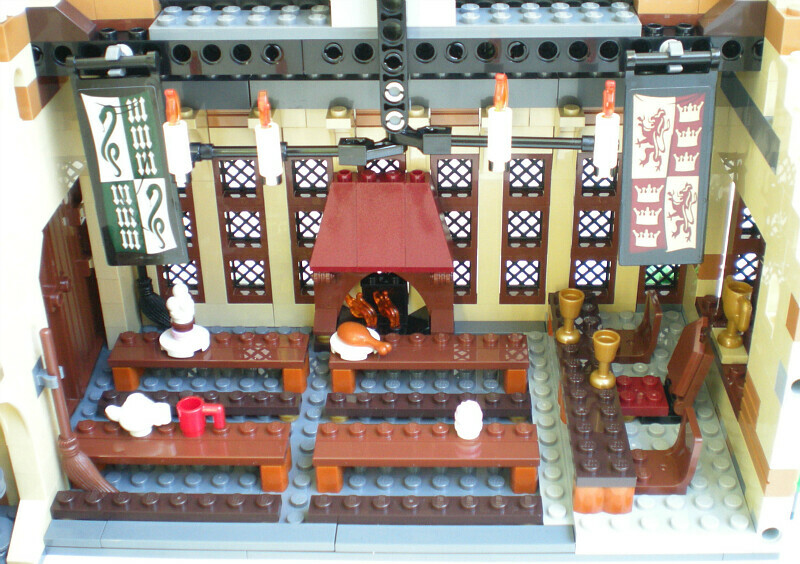 The interior layout of the hall is more accurate than the second Great Hall, as is often mentioned, but I find myself having trouble with this - it's certainly more accurate, but it feels a little less playable this way, imo, especially to display minifigures sitting correctly without the box depictions of them dueling on top of the tables. That's an advantage of the previous version, combined with the ample selection of food that is strangely absent here. The staff could've used a larger bench as well - space for five characters would be the best compromise to get in the mainstays. I think that would leave space for the tables to all have a bench on each side as well? What disappoints me most though is the technic mechanism for holding out the candles and flags. It's ugly and doesn't really create the desired illusion. The exterior is where a lot of the changes are, and that's where I keep mentally comparing it to the original Great Hall from the very first Hogwarts Castle (2001) - a set that is central to my childhood, and one of my first mods was expanding that interior. It stands significantly taller than this release of the previous one, and also adds a central tower, something of a small attic and upper deck (enough to display an extra minifig or two) and most interestingly, adds a little rocky detail to the bottom, also missing here. Shame because I always felt it added a lot to the look, even if LEGO went with a smaller, simpler solution than what the previous set included. Honestly, my biggest disappointment is the Tower - I think the building techniques certainly offer more potential than those we saw in some of the 2010-11 towers, but all we really receive is, in essence, a couple of storage rooms, and to make matters stranger, the Whomping Willow has Potions rooms, negating that area, and then the Sorting Hat and Fawkes are usually in Professor Dumbledore's Office, not the Great Hall, and that locale isn't seen until Chamber of Secrets, which ties into the Basilisk. 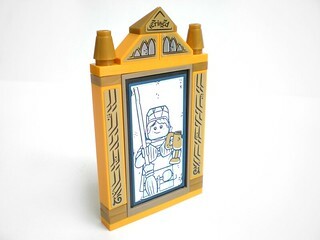 Take those items out and you're left with the removable Mirror of Erised, which looks beautiful but doesn't fit into the rest of the set well, lacking space to display a minifigure looking into it. While I certainly would hate to see larger environments crammed into here and disserviced, it doesn't even hold a candle to the smaller 2011 Hogwarts, which managed to pack a lot of character in such tiny spaces. The stylistic changes being made for the new version of the Wizarding World are a lot of the things I'm having the most trouble with personally. The change from sand green roofs to dark gray seems more realistic, but it feels to me like trading one inaccuracy for another, while losing the sense of whimsy and stylistic comparability with previous sets. I'm also not terribly fond of the students being switched to shorter legs, which feels like a step backwards, and the new uniform design is well-done but not entirely to my stylistic taste. The new wands feel too short. Some of this is nostalgia talking, of course -- I grew up with the earliest HP sets and they were key to my experience with the series as a whole. The inclusion of the Basilisk and Fawkes is a mixed blessing, as it's great to see both animals represented, but this set feels so close to Philosopher's Stone and these creatures are neither affiliated with that film nor the Great Hall location... it would be much better to place them in an upgraded Chamber of Secrets, a location that is famous enough in the series I'm sure to sell, and would lend itself to a few unique minifigs in addition to a unique setting. 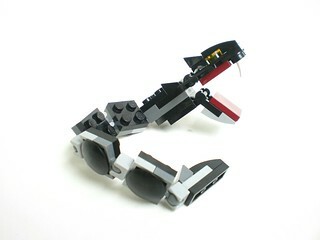 I'll say that as a brick-built snake, I was able to enjoy it, even though it's a bad representation of the basalisk itself.. Overall and in short, I had a lot of fun with this set and the build, but there's a few serious flaws and a lot of nitpicks, and therefore still room for improvement should LEGO revisit the location again in a few years. Please, let me know how this goes. I was thinking similarly about adding two bricks of height to the hall, but I'm not usually so ambitious and I was nervous about how it might affect the tower. I had an awesome time building this set (mainly because I'd been coveting it since the first photos emerged), and I'm happy with the finished build. I'm not mad keen on the small brickwork stickers on the large wall pieces as I don't think they're going to age very well. But to be fair, I can't think how else Lego could get the slightly tumble-down look you need for Hogwarts without using a load more bricks and raising the price point. So I can live with it. I also had been slightly worried about the 'floating candles' mechanic as I felt the use of black parts stuck out like a sore thumb in the promo shots. But the candles do add a nice effect (and floating candles are a pretty essential feature of the Great Hall). I totally agree with other posters about the awfulness of the basilisk (my eyes!) and Fawkes is no oil painting either! I'd trade both of them in for a ruff for NH Nick and cloaks for the faculty. But hey, that's what Bricklink's for. Other than those minor gripes, I'm really pleased with how the set looks, especially when it's connected to the Whomping Willow. My biggest problem is that it's too tall for the shelves on my Lego display case, so if anyone has any good ideas for how you plan to display Hogwarts (which, let's face it, is only going to get bigger), I'd love to hear them! I just finished building my Great Hall.. and I have to say it is bigger than I thought it would be and is in my opinion a beautiful set! I have a suspicion that at some point we will see a re-do of the Basilisk snake in a Set that well be a part of the Castle and hopefully Moaning Myrtle will come with that set as she would be a great addition to the "ghosts". I think both Fawkes and the Basilisk we have currently are sort of place holder until they get around to doing them in a themed set and I could see a Chamber of Secrets set in the future. Thank you for posting this in-depth review. I found it quite helpful! 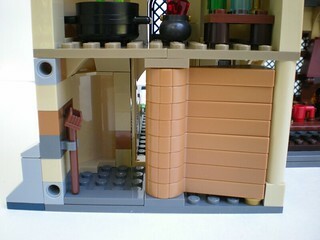 It is unrealistic to want a set with a close door back. This is a toy, and LEGO wants it to be accessible for play. I like it. I don’t like tha Basilisk, and it will go to the parts collection, but the rest is nice.